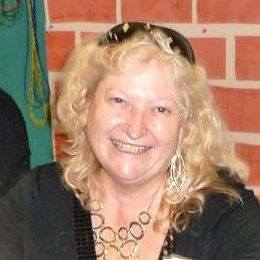 This time on our author interviews we've flown over to Spain to meet Jo Holloway, who is not only the founder and leading light of Sunpenny Publishing Group, but also an author. Dance of Eagles, her novel, is an exciting and gritty action adventure story set in Zimbabwe (or Rhodesia, as it used to be). SP: Jo, could you tell us something of your background and how you came to be living in Spain? JH: This is always a difficult question for me because there’s so much to tell! I’ll try to keep it brief. I was born in Zambia and raised all over Central and Southern Africa, but am proud to be a true Rhodesian. I've fought in a bush war, skinny-dipped with hippos, camped amidst hyena, leopard and lion, hunted crocodile (yes, just one! ), had mad adventures on (and off) film and television sets, had numerous brushes with death… and on the more ‘normal’ side, I have sat on boards for script writing associations, governmental regulating committees and Child Welfare; and dragged up two children and a husband (who all turned out amazingly well in spite of me). I’ve done youth and women's and music ministry, camped at the tops of mountains and bottoms of valleys, sailed in the Indian Ocean islands and along the east coast of Africa, and ridden motorbikes across Southern Africa (6 – or is it 7? – of them). I grew up with my father’s boat mania and it caught on – still love all things boat! 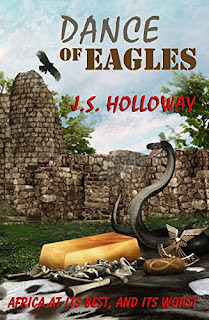 At 17 I went straight from school into the forces (IntAff) in war-ridden Rhodesia (read my book!) and then spent the next 25 years or more doing a variety of production and facilities work in television and film, as well as hundreds of hours of script writing for TV, radio, film, video, multimedia and print; teaching, mentoring, developing new writers, giving workshops. Then I went off sailing into the Indian Ocean (I think I could get at least three books out of that experience! ), eventually coming back to the the UK with £5 left in the bank. For the last ten years I have run my own publishing company. 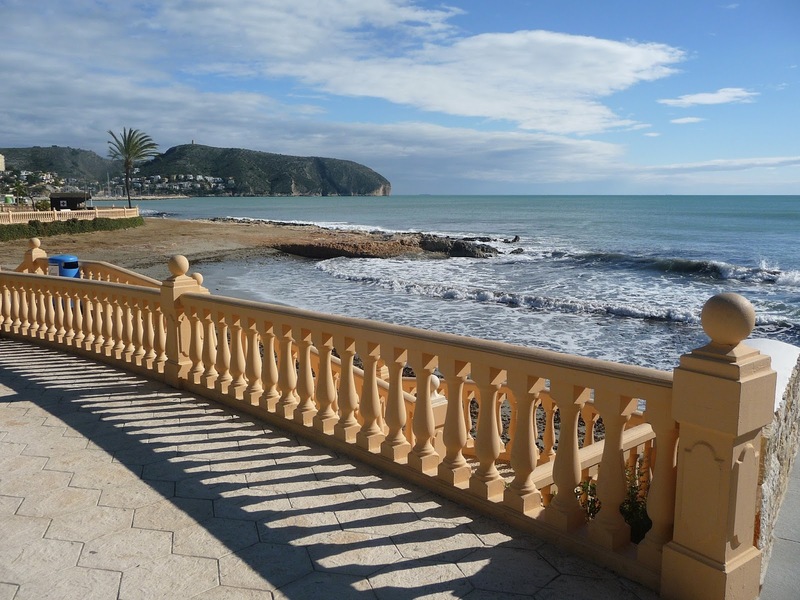 But having lived most of my life in Africa, after 7 years in England I couldn’t take the weather any longer and moved to the Costa Blanca in Spain, which I love! SP: Wow, that was a tumultuous and exciting journey to get there! So, Jo, what do you find most inspiring as a writer about living in Spain? JH: I haven’t yet had much time to write, as I’ve been publishing other people’s books, but am getting back to it now and have several projects – books and scripts – underway. Rather than inspiring me to write, though, Spain has me wanting to sit in the sunshine and do nothing! Seriously though, it’s very relaxing here and the main issue is disciplining myself to sit still in my office. I do sometimes play hookey, as I did today, and go sit at the beach! SP: As everyone should now and then. What prompted you to start writing and how long have you been writing? JH: I wanted to write from about age 3, when it first formed a reality in my mind. My mother read to us from babyhood, and as we got older she would make up stories (when we ran out of books!) … I adored my mother, and her love of books made me who I am. In school I won Eisteddfodd prizes for my writing (and music, and sketching). I guess I’ve always been “different” to the people around me, too, and being creative was an outlet for me in which to be myself, and feed my soul. Later it became what fed my body, too! SP: Your affair with writing's been a lifelong one, then. What do you prefer? Fiction or fact and why? Good question! I think creativity and imagination even as a small child were my escape, and I have written a lot of fiction, but my bread and butter in television and radio were documentaries. I love both, really. They are totally different art forms but two sides of the same coin. SP: Creativity is needed for both, isn't it? Do you write anything other than fiction and non-fiction? JH: Doesn’t everything fall under one or the other? If you mean other formats, I have always written poetry – a cabalistic cache on my computer reeks of it; it’s my guilty secret! So, poetry, which is an interesting mix of fact and fiction; television, film and radio scripts; is that what you meant? SP: Exactly that, Jo. But if you had to give the readers here a tip about how to get started on a book, what would it be? JH: Ah! As it happens I am giving a workshop soon here in Spain for writers who don’t know where to start – a beginners’ course. I’ll also be writing a book about it. So those who want a sneaky trip to Spain under the guise of “work”, let me know! In brief (because it’s an in-depth subject rather than a quick question), (a) if you have a book in you and are the kind simply can, just start writing, now, today, and trust your instincts; (b) if you know what you want to write about but are dithering about where to begin – begin at the beginning, and edit later; (c) if you know what you want to write about but are a bit list-ish and need an organised planner – excellent! Make a list firstly of everything you can think of that you want to put into the book. Create order by turning this into a list in chronological order. Then go and make another list in the order you want it to appear in the book. This will give you an idea of chapters. So now, make a list of chapters, put the events where they belong, and flesh them out. Whichever you fall under, a, b, or c, all this will bring forth more and more ideas, until you are feverishly trying to capture them all. Start writing! As you go along other ideas will occur; make notes and add them later. Work through the book, then go back and start again. Yes, that’s what I said. And again if necessary. You want to be a serious writer? It takes work, my darlings, lots of work. And that’s just before publication. When your story is written, TAKE IT TO A PROFESSIONAL EDITOR! All this simplistic rot about turning your pals into beta readers is well and good as you pat each other’s egos but it doesn’t get you published – you will just make more and more work for yourself, and in the end you will need a proper editor more than ever. Drop your ego, be humble, seek out professional help. And then listen to them. Rant over. SP: Great tips, and with your experience, good advice to follow too. So what do you see as your greatest strength in life? And then (of course) what do you see as your weakest point? JH: My greatest strength in life is in knowing I’m a phoenix (I have the tattoo to prove it and no, you can’t see it), rising from the ashes, and recreating myself, time and time again. My greatest weakness is chocolate, in all its forms. Peeps, I have diabetes. If chocolate is your weakness, dump it and find another. Actually, my true Kryptonite is something(one) else but I’m not telling. SP: Ah, you like teasing us, Jo, don't you? Now, just a few more questions. If you had to live for a year with only one book, what would it be? JH: Oy vey, girl, ONE book??? Okay, I bet you think I’m going to come up with a wonderful old classic but I’m going to say – one of James Michener’s sagas, like “Hawaii”, or “The Source” (did you know the musical “South Pacific” was based on his book “Tales of the South Pacific”?) … I just love his way of taking a story from the very beginnings of the earth’s forming of the country, through historical family sagas that all tie together – his drama, his fire, his deep understanding of the human psyche … of course in this day and age few would have the patience to read such detailed, long books, but they should. SP: His novels are legendary, aren't they? And do you have any favourite authors? If so, why do you admire their work? JH: Favourite authors? Again, oy vey! I love poets and classics and police procedurals and thrillers and crime and romance – no, I shan’t go on. Too many to talk about in one blog! SP: Okay, Jo, are you writing anything at the moment? Can you tell us what it is? JH: Haha! Let’s see, I need to finish off a light, humourous romance, “Brandy Butter on Christmas Canal”; also working on a backhander combining the bucolic English countryside and atmosphere with hard, edgy themes, in “Raglands”. I have a crime series outlined with the first two started, for both books and television. And a list of other ideas for projects that will never see the light of day because I’ll die before I have time! SP: So speaks a true writer! Now, last question if you had a bucket list, what would be in the top three positions? Claw my health back, travel, and love love love. Not necessarily in that order. Thanks for listening, lovely people! (Please buy my book. Am I allowed to say that? (SP: you are!) I need to sustain my lifestyle in Spain. Please buy my book. Thankyouverymuch. Thankyouverymuch. Thankyouverymuch. SP: Ah, Jo, it's been a pleasure and a delight to have you here on the blog. Thank you so much for spending the time here on this informative, fascinating and funny interview! Loved reading this, Jo. What a life you've led! Thanks Val, and thanks for having me on the blog, it was fun! What a fun interview! Loved it! I feel like I have barely lived compared to you--must get going on more adventures! I had a glimpse while at the London Book Fair last year that you had lived a very interesting life, so it was fun to get to know you a little better now, through the interview! Fab interview, Val & Jo. Hope my comment "took." What an interesting life to celebrate! Stephanie.